Tasteful black exterior over grey leather interior with Canvas cabriolet top. 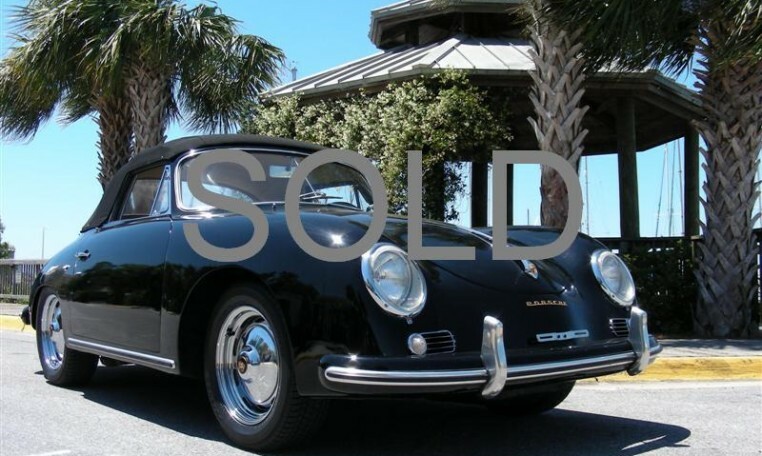 This truly amazing example was fully restored by World renowned Porsche restoration expert Gary Kempton of GK Restorations in Crawfordville, FL before Gary Kempton’s passing. This truly amazing example was fully restored by World renowned Porsche restoration expert Gary Kempton of GK Restorations in Crawfordville, FL before Gary Kempton's passing. Less than 3000 miles since restoration was completed in 2001!, Car has full photographic records of the restoration process! Restoration included both body and mechanicals. Documents available to review on request. Note: Engine is not original but is a period correct 356 engine.